Look Ma! 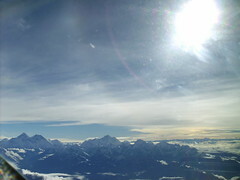 I’m on top of the world! 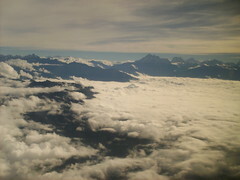 So about 90 minutes ago, I was on a plane flying above the Himalayas! 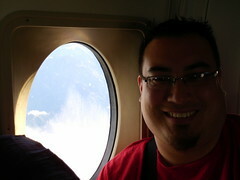 I was up at 5am, to take a 6am mountain flight on Buddha Airways for a tour of the Himalayas. 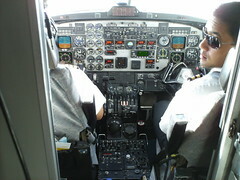 The plane was very small, with only about 20 seats or so total. 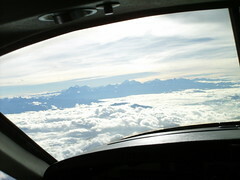 Every seat was a window seat and each passenger was allowed to go up to the cockpit to see the view and take pictures. In fact, I was able to go twice! I have many photos – and not enough time to review them now. But I had to post right away! So here a few pictures, unedited, and a short clip I took with my camera as well. Dude! Awesome! 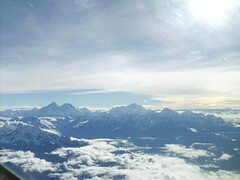 How close to Everest did you get? It is spectacular! Truly amazing!!! It’s so much fun living vicariously through your experience. Talk about using your powers for awesome. 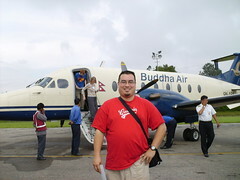 I am a tiny bit disappointed that you didn’t wear your buddhalicious shirt for your buddha airways flight.